As the name implies, this recipe is incredibly easy to prepare. The simple marinade imparts a subtle, sweet flavor to the chicken that pairs well with just about any side dish. 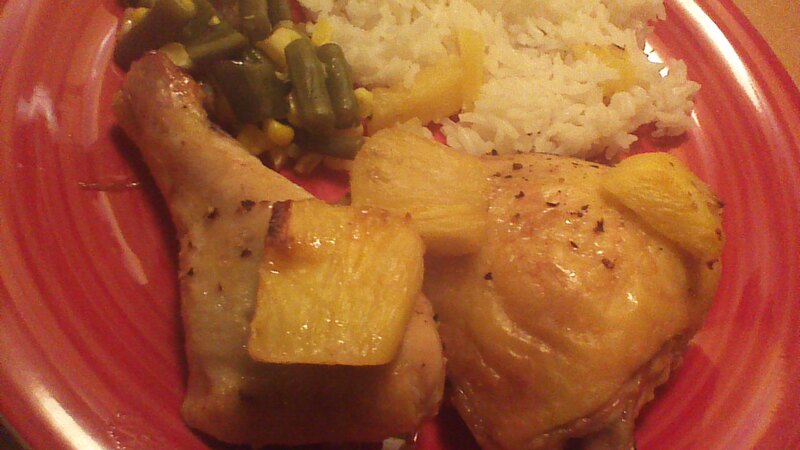 Children in particular seem to love Easy Pineapple Chicken! 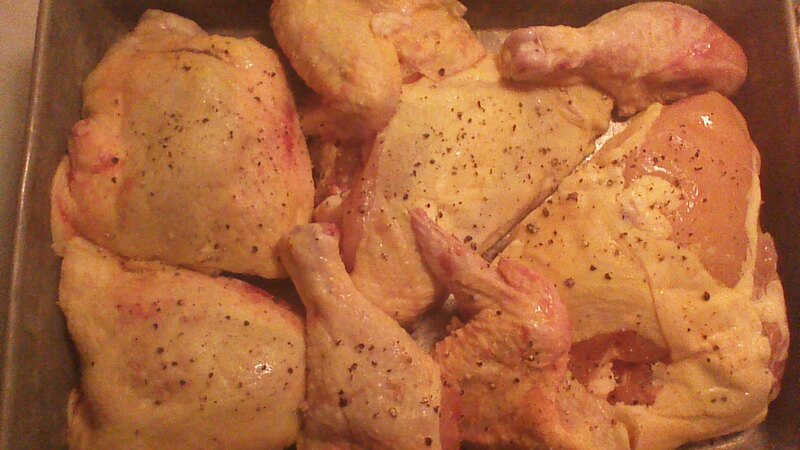 Step 1) Place chicken in a 9″ x 13″ baking pan, so that chicken pieces close together. Step 2) Combine pineapple juice, brown sugar, soy sauce, and minced garlic to make a simple marinade. Pour marinate over chicken, cover with foil, and refrigerate for at least 4 hours. Step 3) Remove chicken from refrigerator sprinkle with freshly ground black pepper. 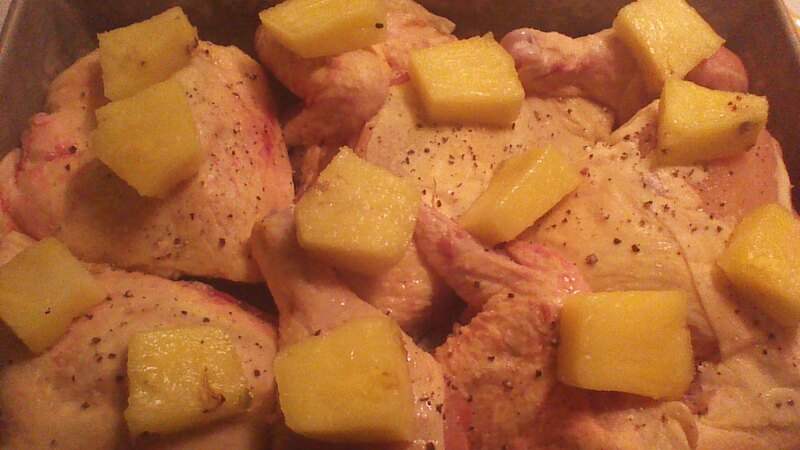 Arrange pineapple chunks evenly on top of chicken. Step 4) Bake Pineapple Chicken in a preheated, 350 degree oven for 1 hour, or until a meat thermometer inserted into the meat (but not against a bone!) reads 165 degrees. Enjoy! This entry was posted in Main Dishes, Uncategorized and tagged chicken, children, Cooking, dinner, Family, Food, frugal, Homesteading, Recipes. Bookmark the permalink. ← Harvest of Blessings Giveaway Contest! My boys will like this!